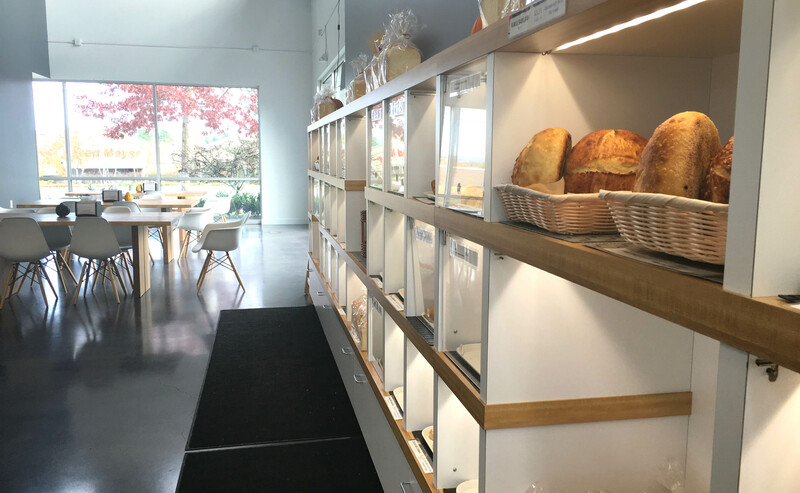 A chic and modern Japanese bakery is hidden away in Beaverton. Seek it out. The hot dog alone is worth it! I have had a busy couple months and this website has been neglected! Blog posts are piling up! So here is a quick little stop I want to share. 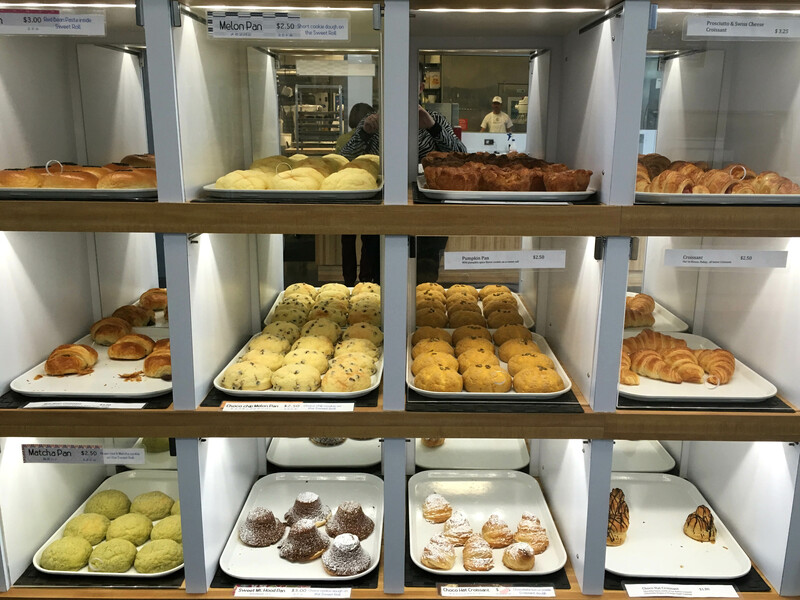 A cool new Japanese bakery in Beaverton. 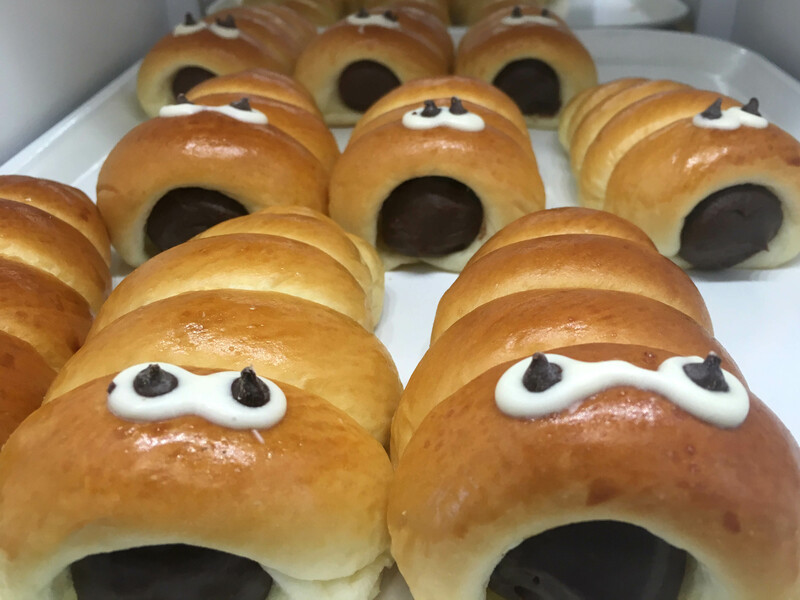 First of all, this is my first Japanese bakery. Have you ever been to one before? I believe this is the first one in the Portland area. Oyatsupan is in Beaverton although it’s on the far west side of town, nearly in Hillsboro. If you are familiar with the area, this is right by the big Tualatin Hills Rec Center and Walker Road Fred Meyer. We arrived mid-morning and I’m sad to say the place was EMPTY. Where are all the people? The woman at the counter told us they get a big pre-work rush, so hopefully we were just there during a quiet time. I don’t want them to close! But other that that, this place was great with a beautiful bright interior, modern design and a fun self-serve pastry case. It was very hard to hold myself back. 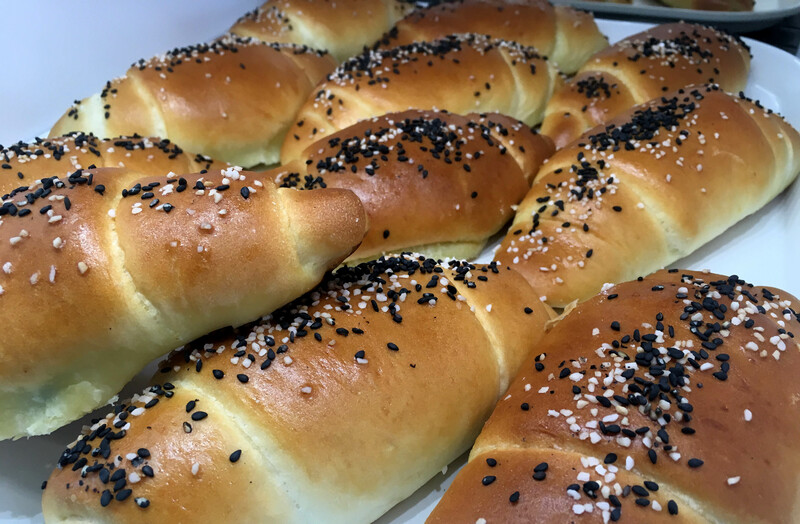 They bake everything in house, so it’s all fresh! Brigitte has a croissant drizzled with chocolate because I know she goes crazy for croissants, but there were a couple other cute pastries kids might like that were decorated like animals and google eyes. The adults gravitated towards savory. 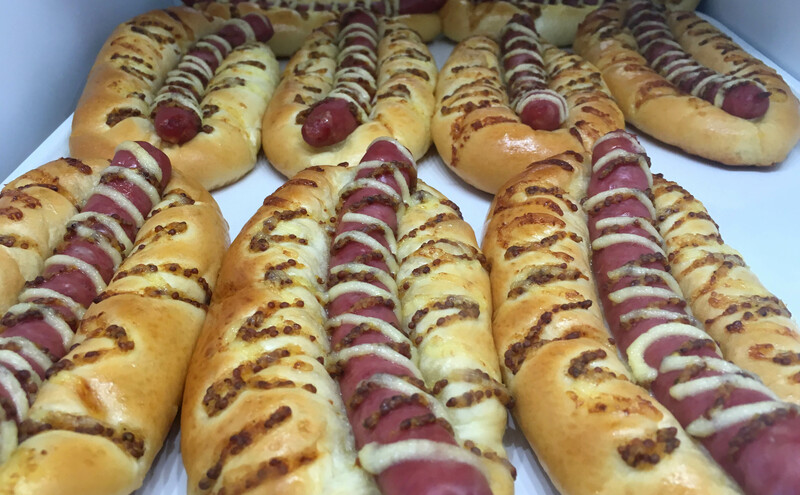 I could not leave without trying their hot dog pastry, which basically speaks the the essence of my soul. 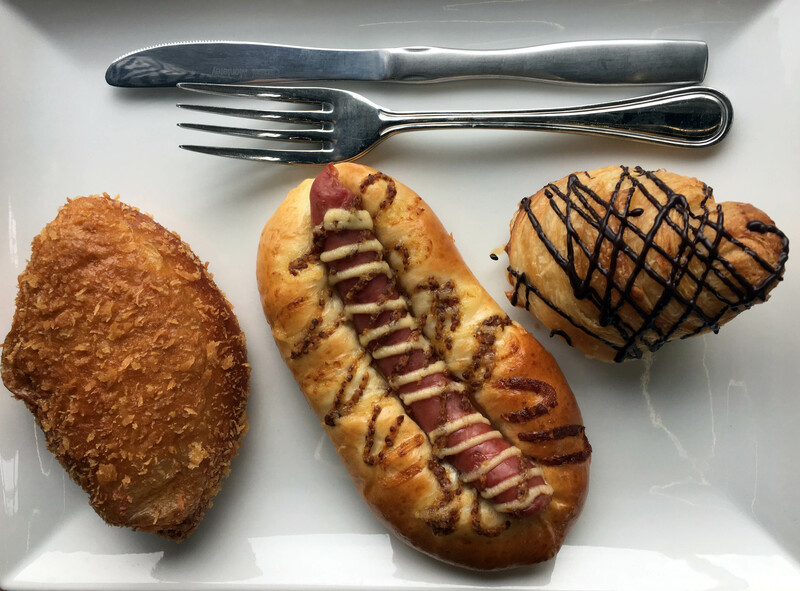 A hot dog with a snappy casing, nestled in a bed of pillowy pastry and topped with a little cheese. So good! We also tried something they described as a beef donut. What? Tasty shredded brisket inside a fried dough pouch. Not as good as the hot dog, but I love the thought! Portland bakeries: More meat donuts please! There was so much to try here, I plan to go back next time I’m in the area/passing by. The coffee, ambience and of course the pastries were all fantastic. So if you are in the neighborhood please check this place out!